Abu Anish, principal of Dharmasala HS School of Dhubri district has been arrested by police on Tuesday in connection with collecting extra amount of Rs 200 from each student in the name of admission in the second year. Notably, earlier, the aggressive students demonstrated at the school and also locked the alleged principal in his office and were demanding stern action for his corrupt attitude. Later, police rushed on the spot and released him. 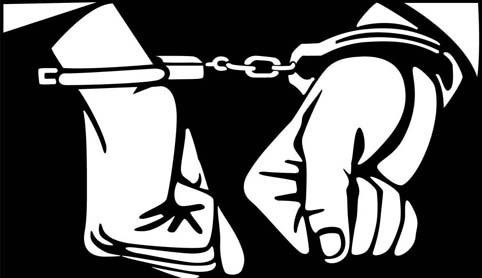 In this connection, Dhubri Police registered a case bearing number 654/2018 under relevant sections of the IPC on the basis of the complaint lodged by the students of school and arrested the principal on Tuesday. It may be mentioned that Dhurbi district recently made headlines after arrest of a school’s headmaster in the district along with a TET-qualified teacher and a proxy teacher for engagement of proxy teacher and withdrawal of salary by the TET teacher without teaching in the school.